Montgomery County, Pennsylvania Horse Directory - O Horse! 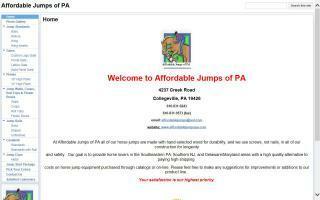 Affordable Jumps of PA is a family-owned business which builds and sells horse jump equipment to equestrians in the Delaware Valley and surrounding areas. We offer a full range of products from jump standards, gates, walls, and flower boxes to jump cups and jump rails. The safety of both horse and rider is a top priority in all of our designs. All of our jump equipment is made from high-quality, hand-selected wood. We construct all of our equipment using bolts and screws - never nails. All of our products are offered in a wide range of sizes and colors, and we will personally work with you to design one jump or an entire jump course. At Affordable Jumps of PA, your satisfaction is our highest priority. 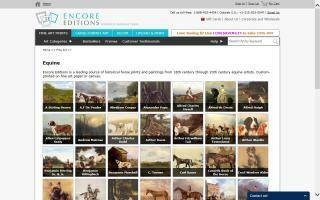 Fine equestrian and equine horse paintings and prints. Come experience field board with great access to the Evansburg State Park as well as the Perkiomen Trail which takes you to Oaks, Schwenskville, also just miles from Valley Forge National Park. We have an outside ring with obstacles for you to experience and to challenge you and your horse. Each boarder is given their own area in the tack room for their tack as well as any personal horse items. The horses have access to automatic waterers and hay all day, every day. During the summer, they are on grass 24/7, while during the winter, they have access to unlimited hay. All fields have their own run-in sheds. Pennsylvania farrier services. 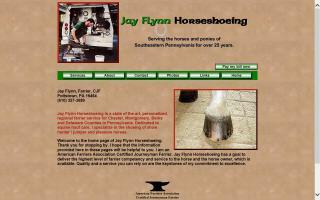 Jay Flynn Horseshoeing has a goal to deliver the highest level of farrier competency and service to the horses and horse owners of Chester County, Montgomery County, and Berks County, Pennsylvania. 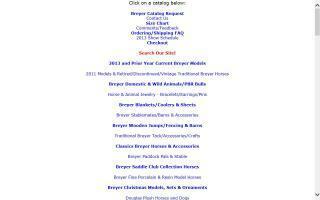 We offer Breyer Horses, model animals and accessories at low prices with a personal touch. Along with current year Breyers, we also carry vintage and retired Breyer Horses, Hagen Renaker Ceramic Horse Models and Schleich Animal Models. Lone Star Farm provides a fun and relaxed atmosphere for both children and adults to learn how to correctly ride as well as enjoy a variety of different horses. We teach everything from anatomy and tack basics to beginner showmanship and more. English, western, and gymkanna instruction all available by Dani Tornetta. Offers a lounge and a wide variety of family oriented events, such as fun shows, yard/bake sales, and auctions. 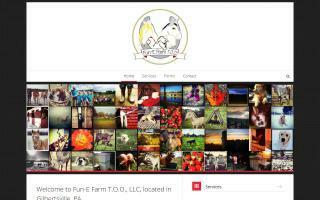 We also offer boarding, pony parties on location or at your home, sales and leasing. Come visit us for one of our fun shows in April and October, or call to take a tour. A spacious 27 acre farm, our equine facility is equipped with an outside track, ample fields for riding and turnout, and a covered indoor arena - perfect for the casual rider or seasoned competitor. We are a friendly, low-key facility that offers a clean, safe, and relaxed atmosphere for horses and owners alike to enjoy and can accommodate riders of all abilities and disciplines, from hunters and jumpers to western pleasure, gymkhana, dressage, trail riding, and even carriage driving! 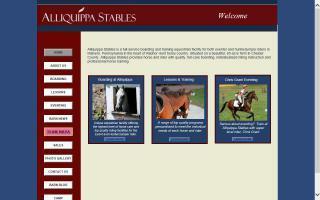 Guided trail rides, summer camps, and lessons.